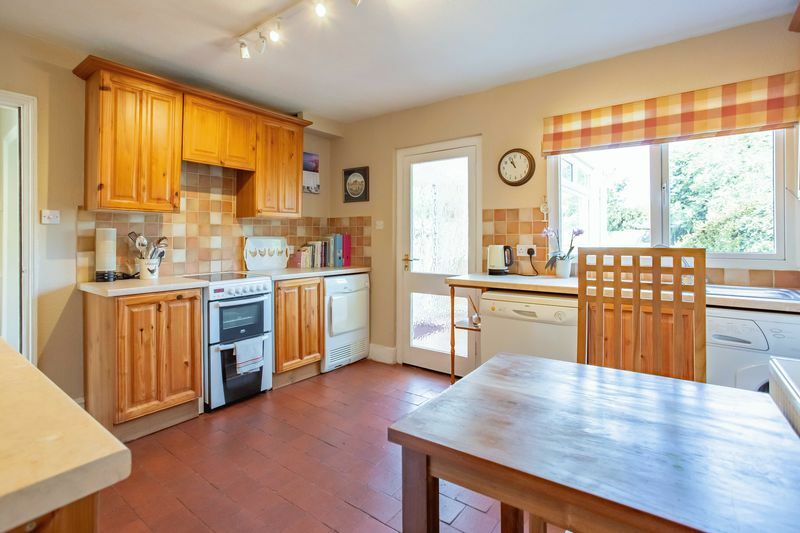 A delightful 3 bedroom semi-detached cottage-style house with garage, front and rear gardens and a further separate garden. 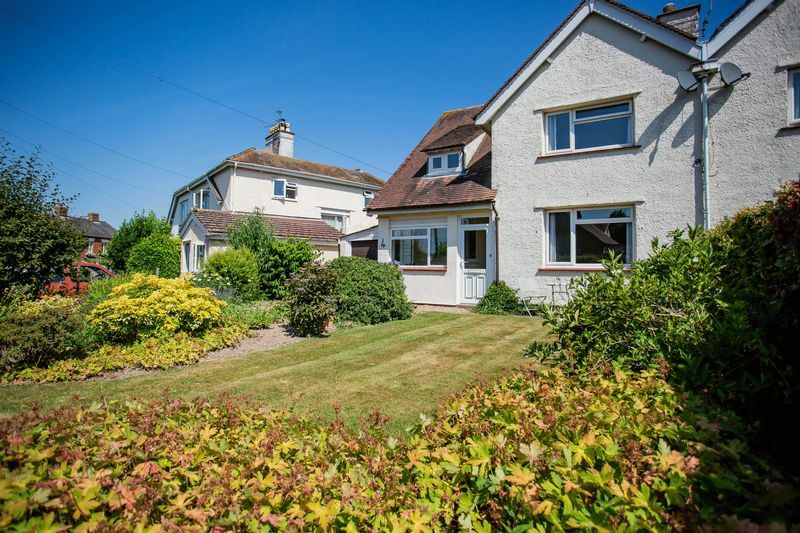 Located on the edge of the highly sought after village of Colwall, on the western slopes of the Malvern Hills AONB. 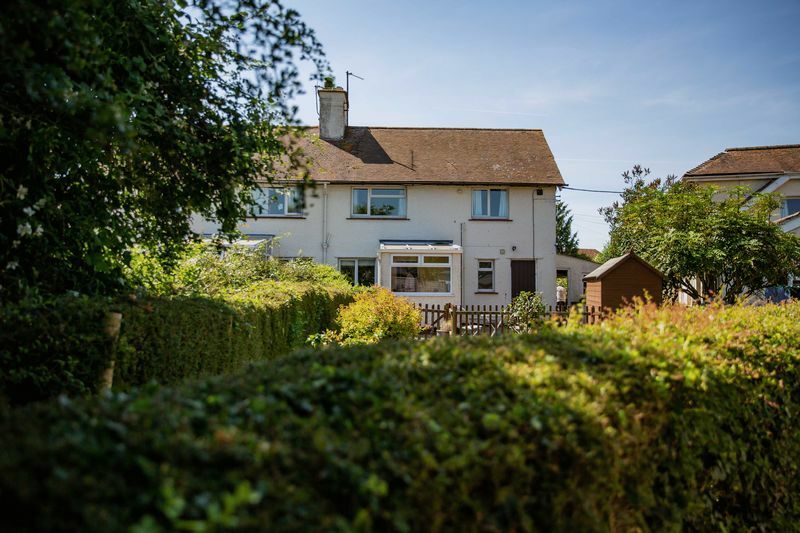 Evendine Corner is situated on the corner of Colwall Green and Evendine Lane, arguably one of Colwall’s most sought after areas. 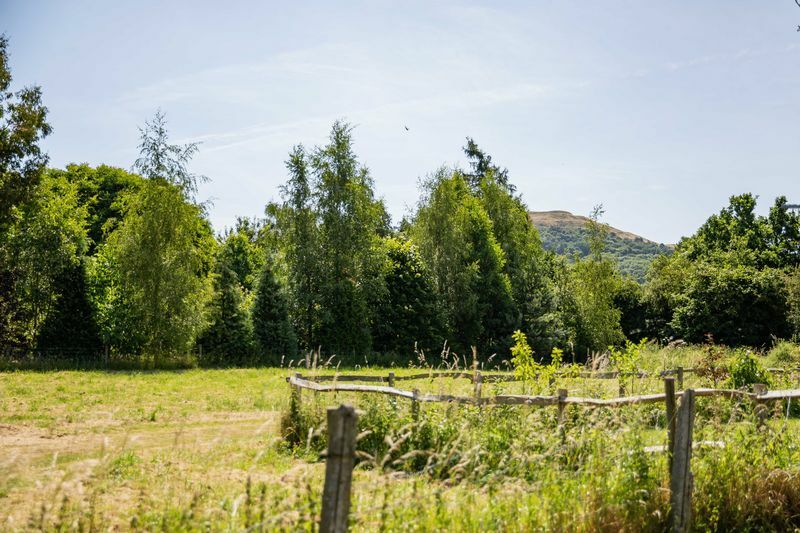 There are views towards the Malvern Hills with numerous footpaths accessing the glorious surrounding countryside. 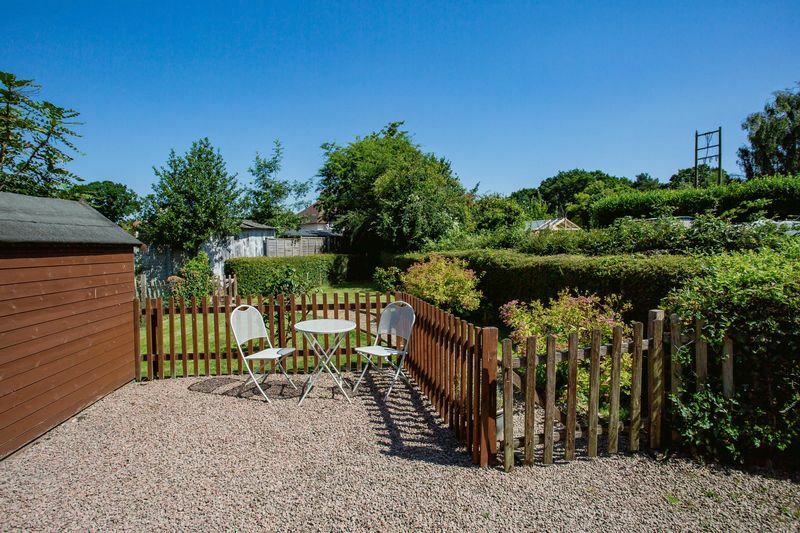 The immediate area has wide grass verges, quiet lanes and is popular with walkers, horse riders and cyclists. 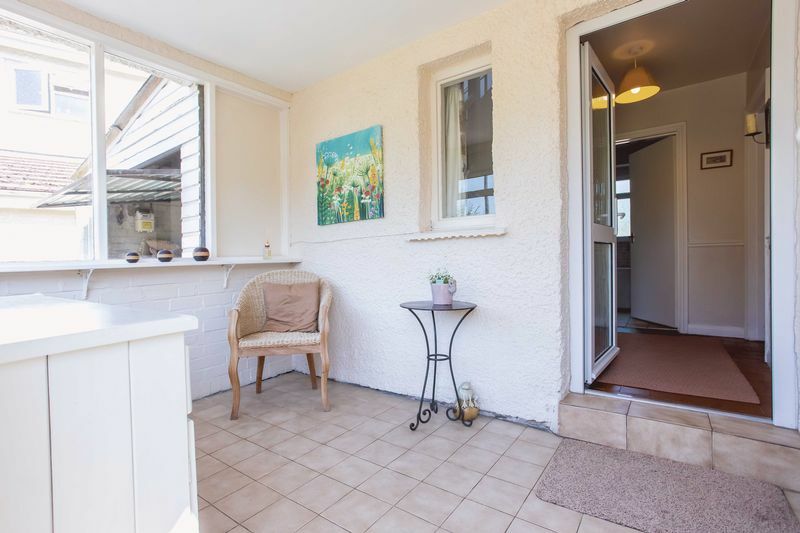 The property is constructed of brick under painted pebble dash with a clay tile roof. 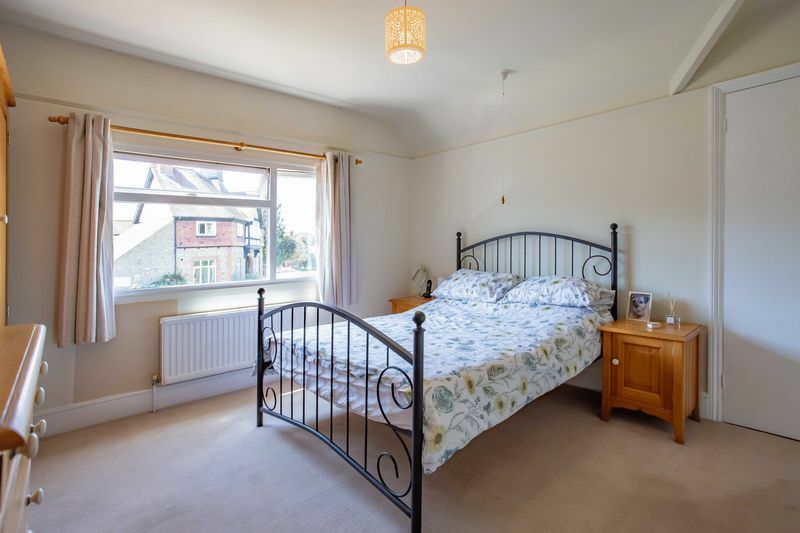 Built in the 1920’s it benefits from well-proportioned rooms with period features and high ceilings. South facing and with large windows, the house benefits from an abundance of natural light. The decor is neutral and light with many original features intact. 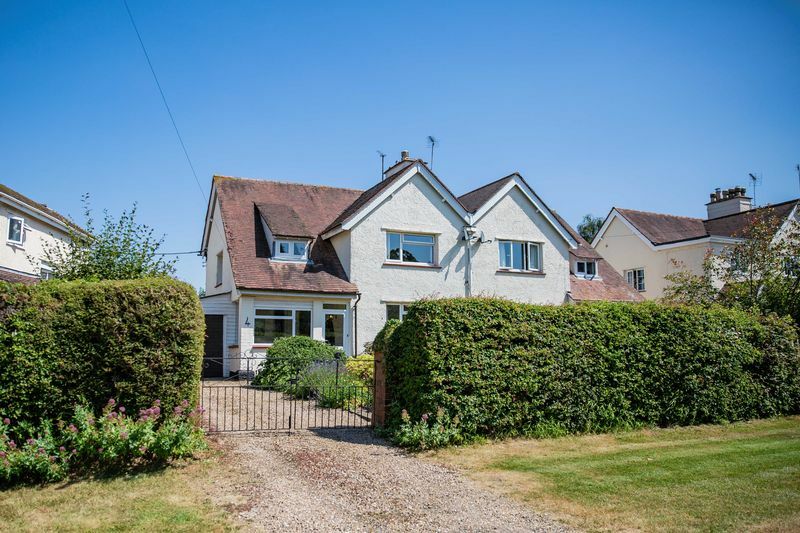 The semi rural outlook is attractive with period and detached houses amongst leafy surroundings, and the Malvern Hills in the back drop. Colwall is a highly sought after village, close to the Herefordshire and Worcestershire county boundary. The village is well-served, boasting two public houses; post office; village stores; hotel; a fine butchers shop; green grocers; cafe, doctors’ surgery; pharmacist; pre-school; two renowned preparatory schools; primary school; churches; Thai restaurant; village hall; library; play areas; natural reserve; historic cricket ground; football pitch; several bus stops and main line train station. There are also visits from a mobile fishmonger and fish & chips van. 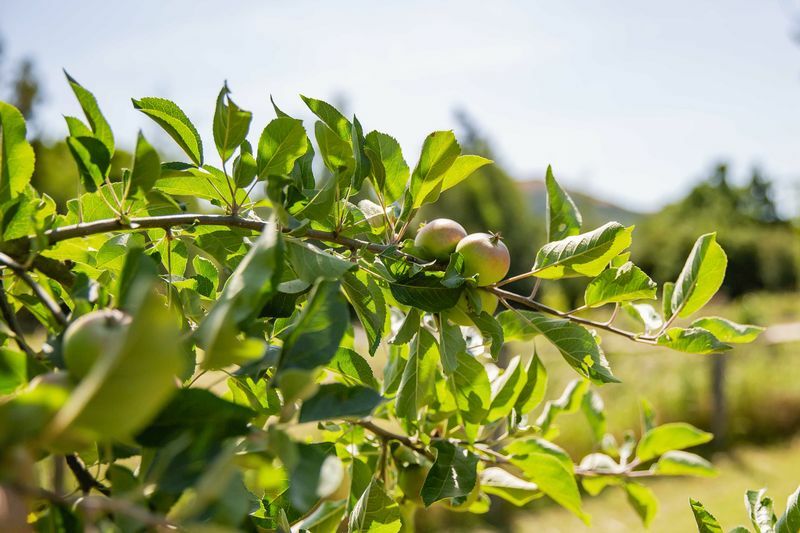 Further amenities and shops can be found at the nearby Spa town of Malvern (4miles) or the historic market town of Ledbury (4.5miles), including Waitrose supermarket at Great Malvern. Colwall train station has direct trains to London Paddington and Birmingham. Local bus routes between Ledbury and Malvern. M50 Motorway (J2) 8miles, Worcester and M5 Motorway (J7) 13miles, Hereford 20miles, Gloucester 21miles, Birmingham 42miles. 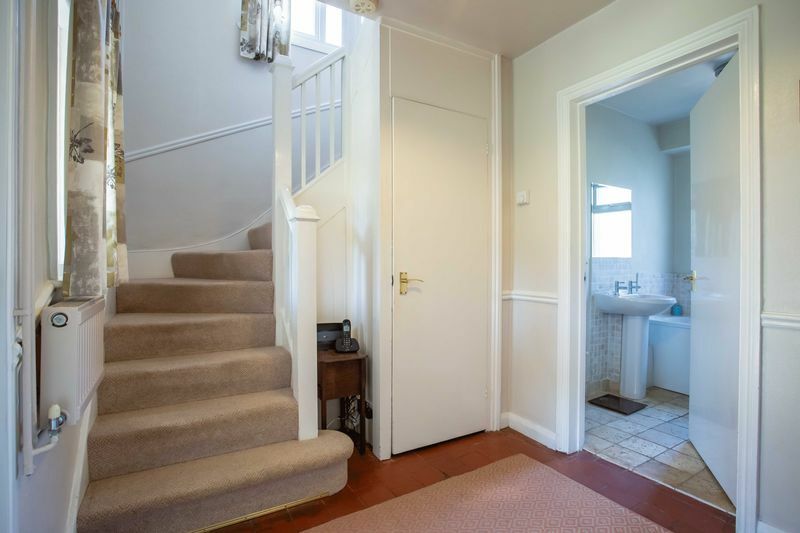 Inner Hallway - accessed via a composite door with two pane obscured glazing, this central hallway with original red quarry tile flooring and dado rail leads to the sitting room, kitchen breakfast room, bathroom and stairs to the first floor. 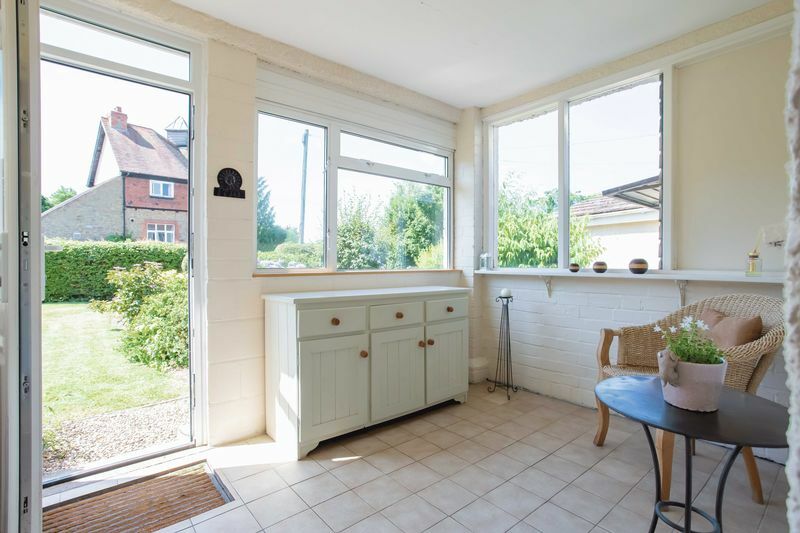 There is a generous under stair cupboard and window into the sun room. Radiator. Telephone point. 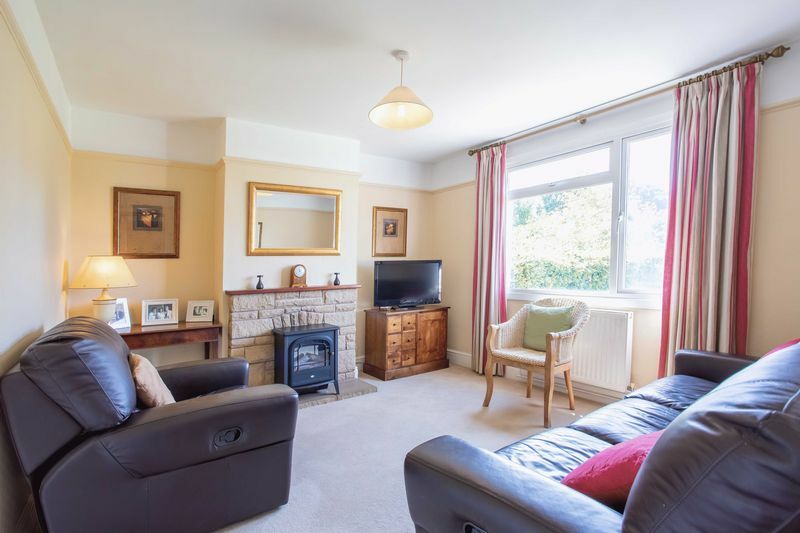 Sitting Room - a nicely proportioned bright and neutrally decorated room with large picture window overlooking the front garden. There is a central open fire with faux stone surround, picture rail, T.V. 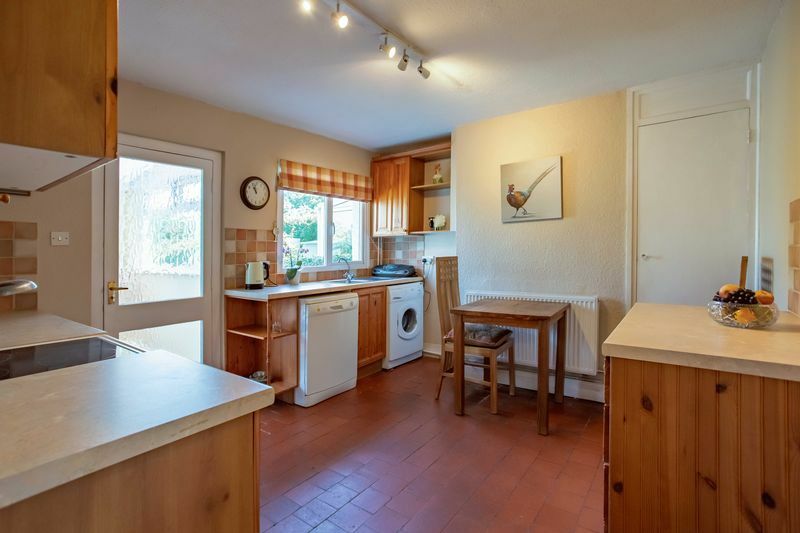 point, radiator and carpeted flooring. 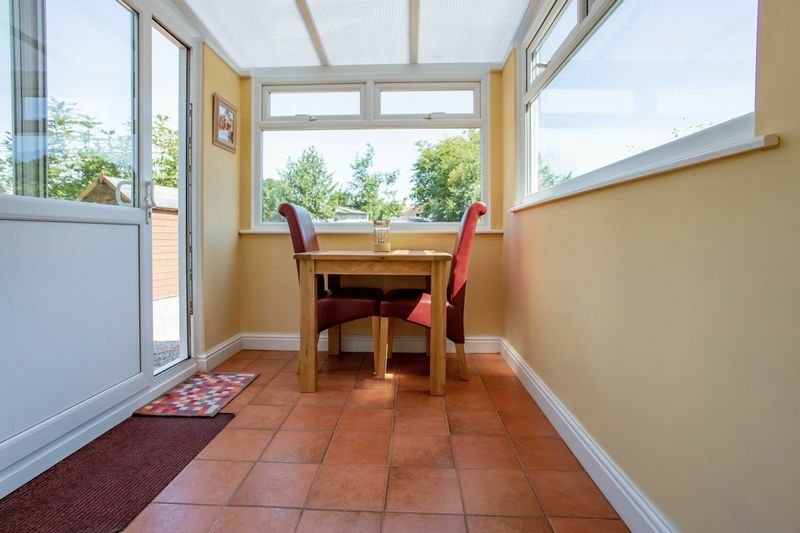 Garden Room - this bright room is accessed via an obscured glazed door from the kitchen and is currently used as a small dining area. There is ceramic tile flooring, a polycarbonate roof, large windows and part glazed sliding door onto the rear patio/courtyard. 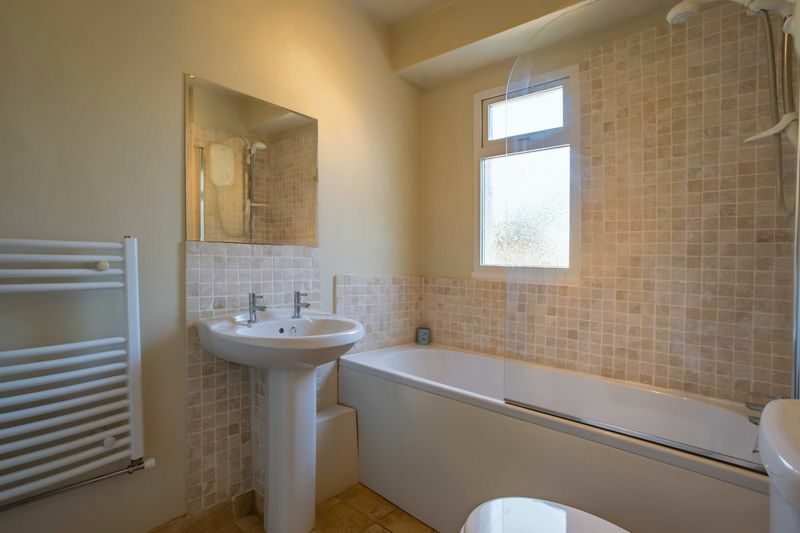 Downstairs Bathroom – accessed from the central hallway with travertine tile flooring and limestone splash backs, the bath has electric shower above with glass screen, heated towel rail, W.C, white pedestal sink and obscured glazed window. 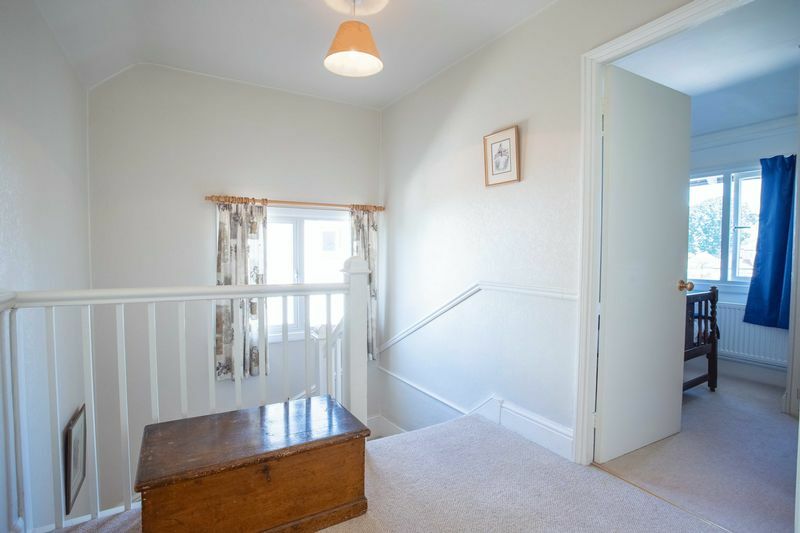 Landing - a bright and spacious carpeted landing with small gallery over the stairs. Hatch to loft. 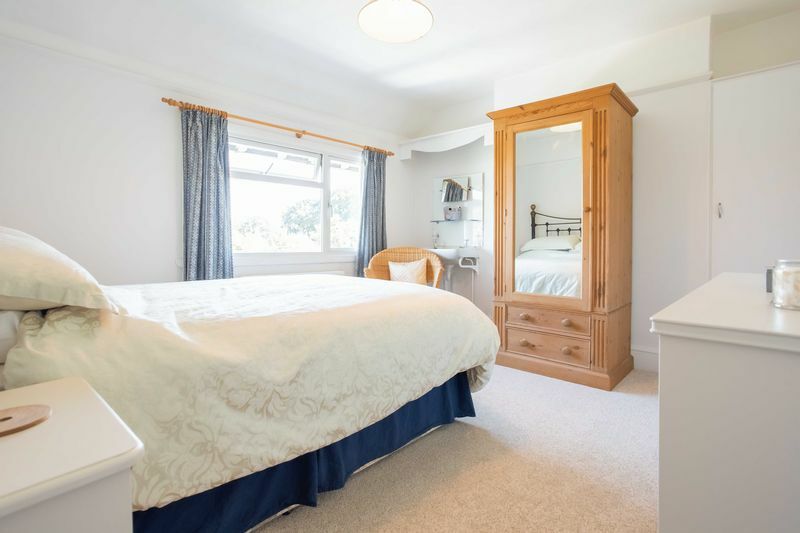 Bedroom 1 - a spacious and bright carpeted room overlooking the front garden with views to the Malvern Hills and Caves Folly. 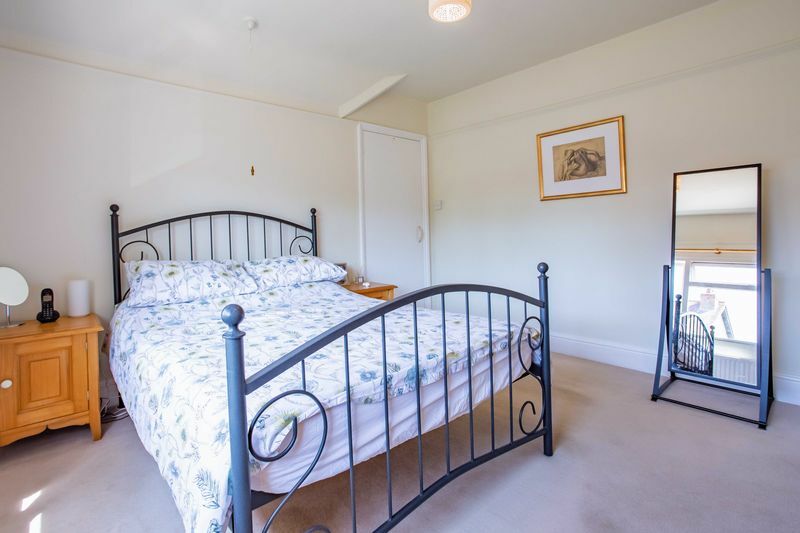 Space for a double bed with bedside tables. Picture rail. Radiator. TV Point. 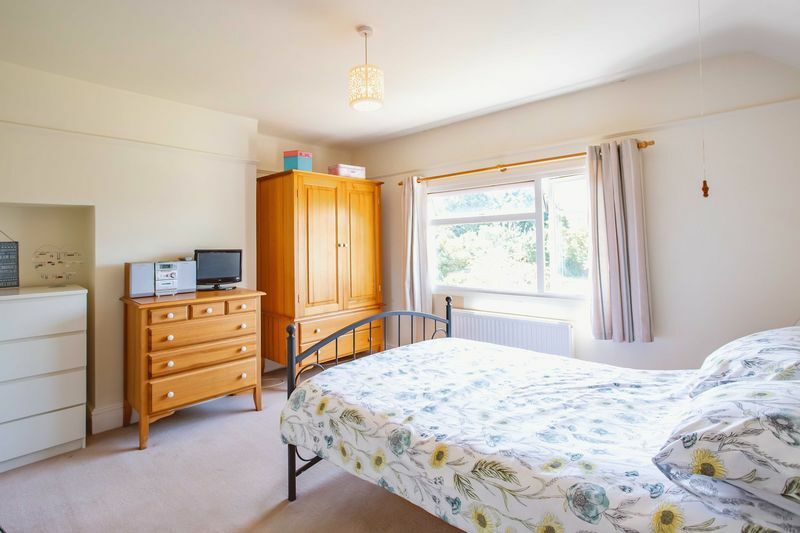 Bedroom 2 - overlooking the rear garden with distant views to the Malvern Hills. 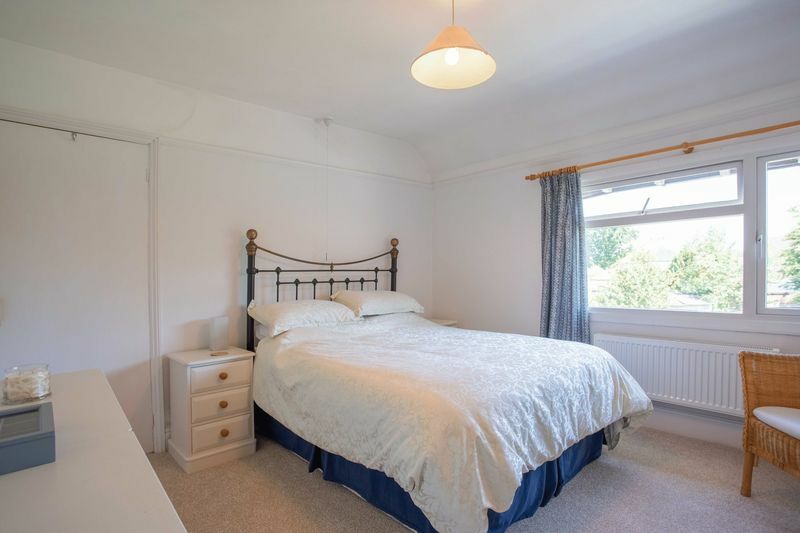 Space for a double bed with side tables. Built-in cupboard one side of the chimney breast and wash basin to the other. Picture rail. Carpeted. Radiator. 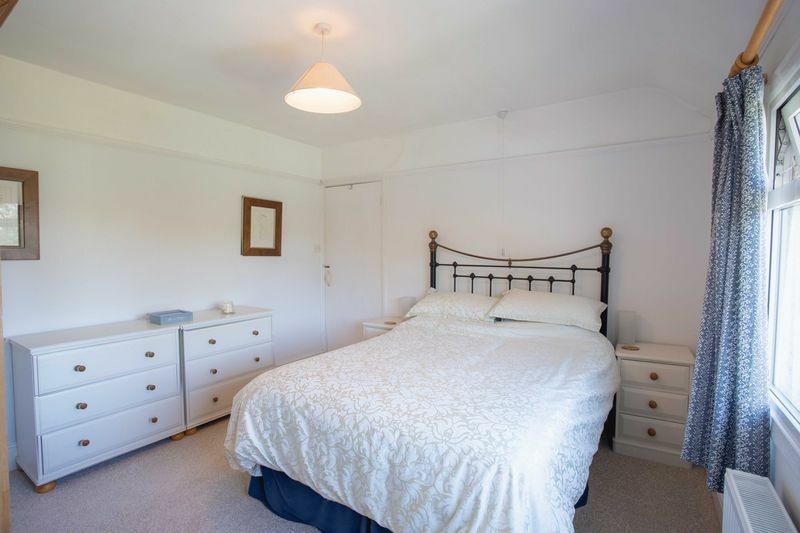 Bedroom 3 - a small double or single room overlooking the rear garden, with views to the Malvern Hills. Built in cupboard housing a Baxi Duo ’comb’ boiler. Picture Rail. Carpeted. Radiator. 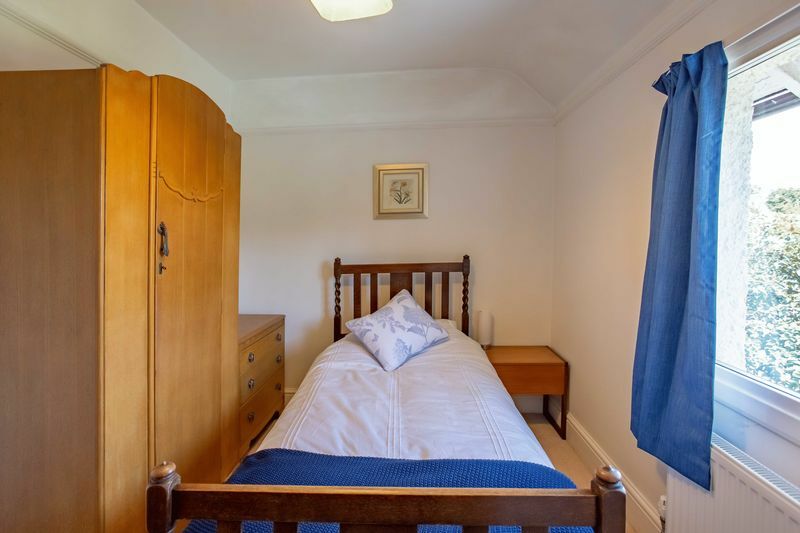 Storage Room - accessed off the landing, there is a small dormer window in the sloped ceiling. 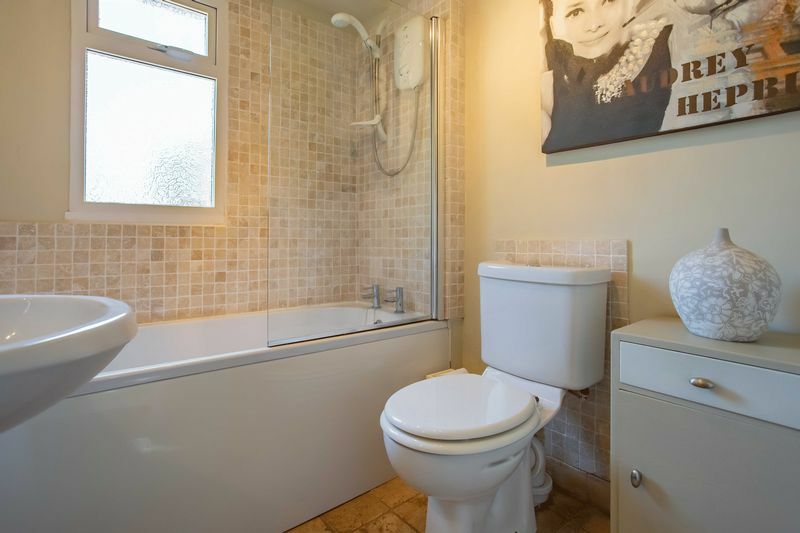 This useful storage room could be converted into an upstairs bathroom, as other neighbouring houses have done, subject to the necessary consents. Garage - attached to the side of the house. Up and over door with a rear door and window. Concrete flooring. Power and light. Coal bins adjacent the rear door. Garden Storage Room - integral to the house and accessed via the rear patio. Undecorated with light and power. Front Driveway / Garden - double metal gates open on to a gravelled driveway (space for 2 cars) leading to a single garage. 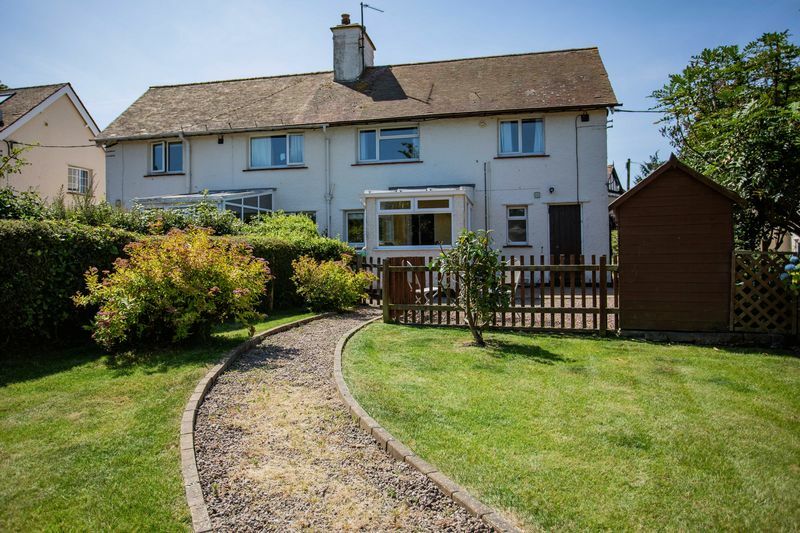 To the right is a good sized south facing front garden with surrounding mature hedges. 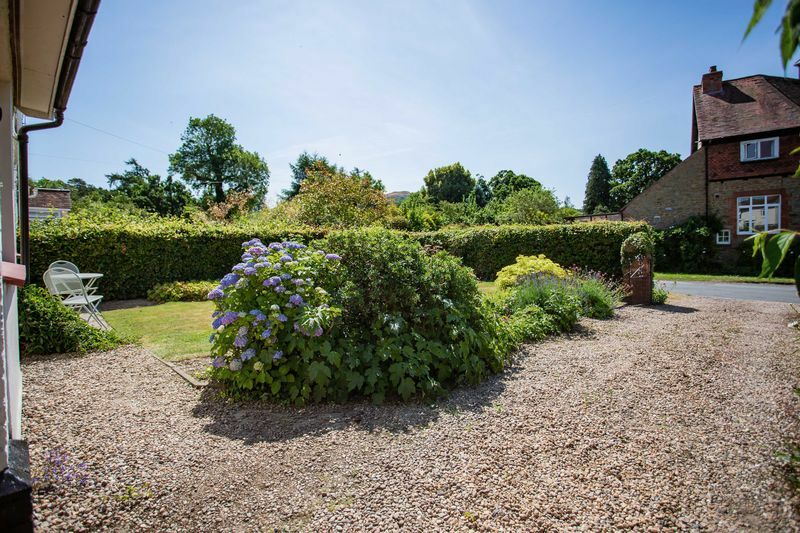 Flower beds planted with mature flowering shrubs flank the driveway. Between the house and the lawn is a small south facing patio area. 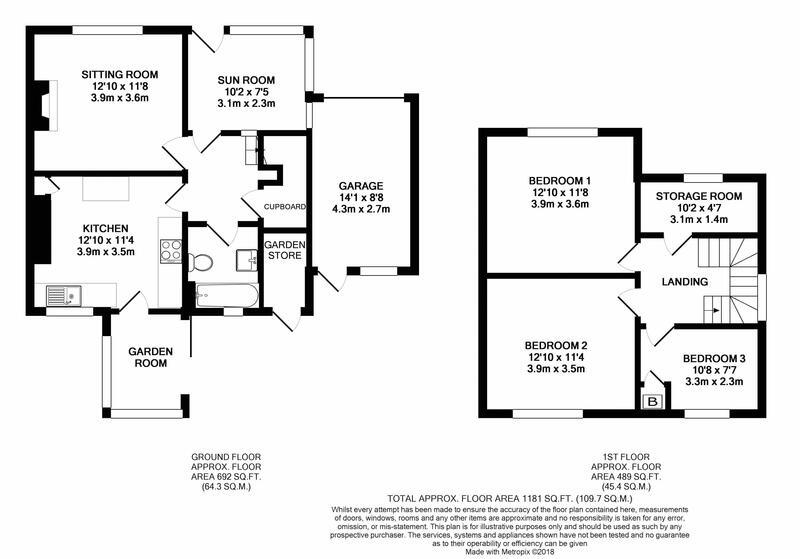 Rear Garden – the main garden, to the rear of the property, is enclosed and level. 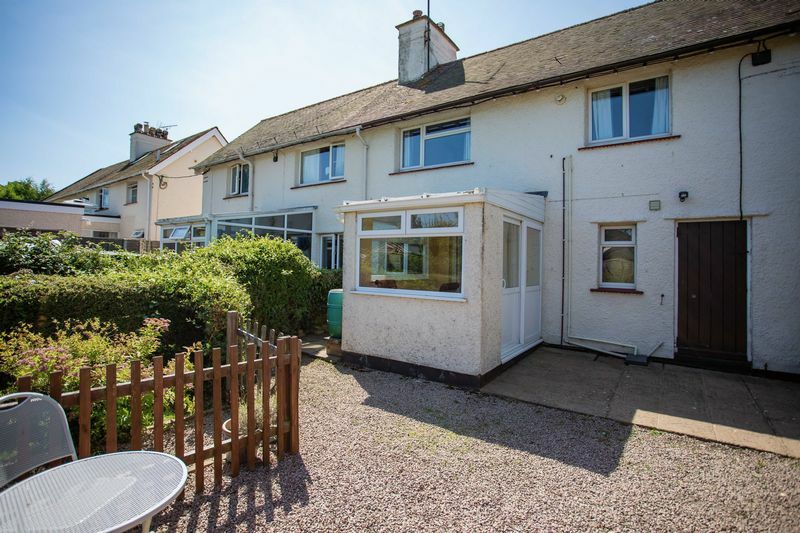 It is accessed via the garden room and a rear door of the garage. 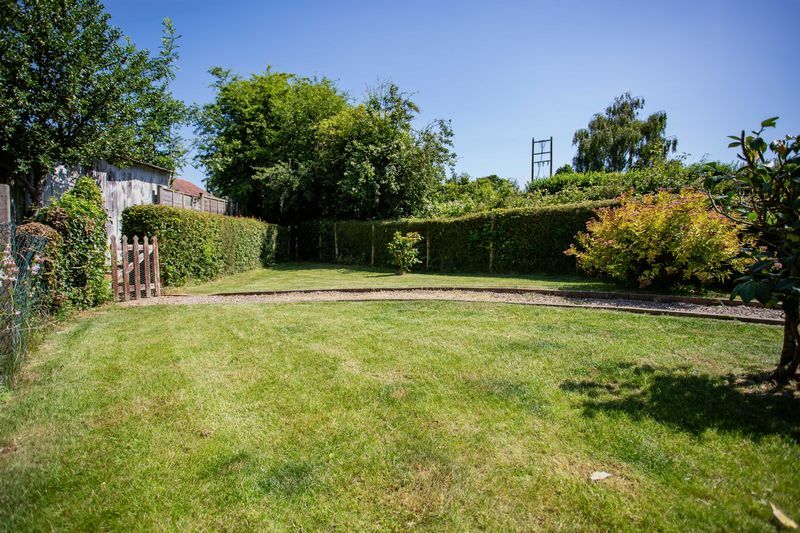 Beyond a large enclosed patio and gravelled area is a level lawn, with a curved gravel path to a picket gate leading to a further garden via a shared path. 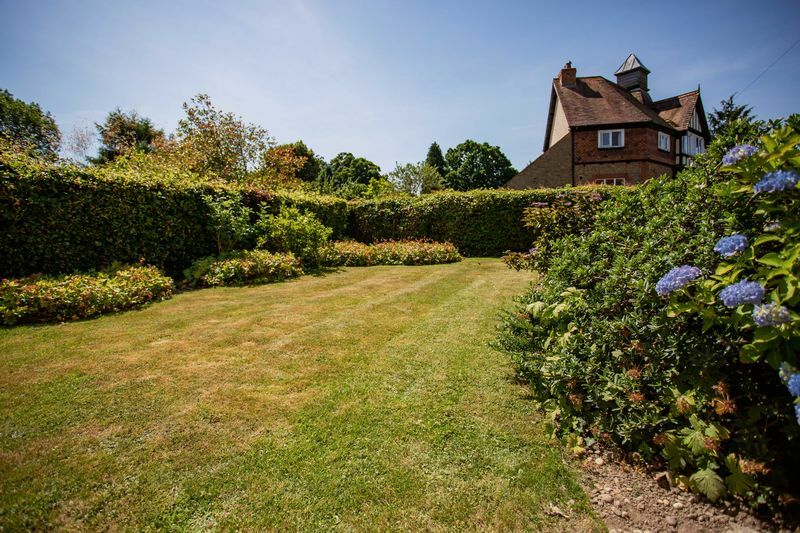 There are an assortment of mature flowering shrubs and mature hedges. 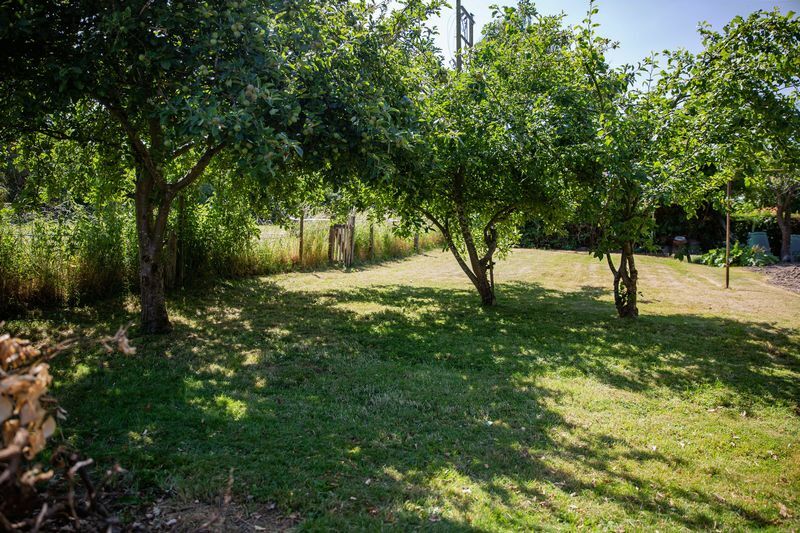 Separate Garden – accessed via a shared path leading from the rear garden is a further lawned garden with several apple trees and fantastic views towards British Camp. From the centre of Colwall proceed south along Walwyn Road towards Ledbury. Shortly after the bridge over the main railway line (with traffic lights) The Elms Preparatory School will be on your left and a football pitch on your right. On this straight you will see the former Colwall Primary School on the left. Immediately after the school fork left so the village green is on your right. 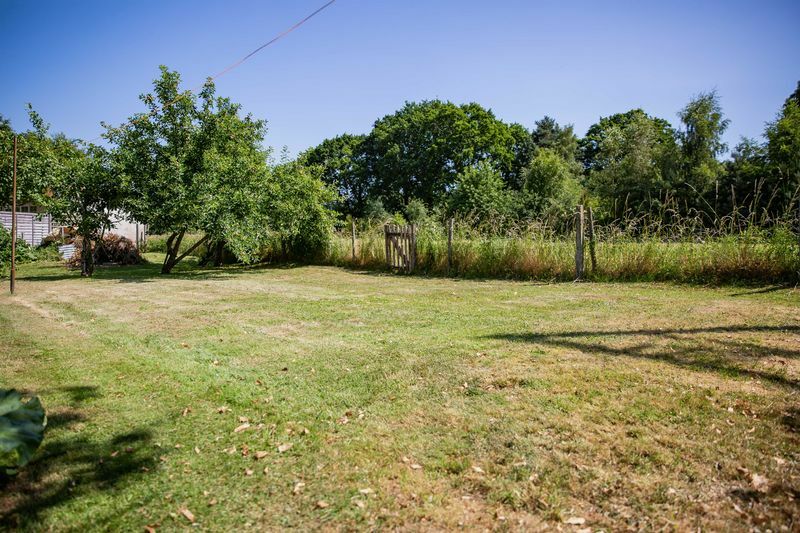 After a few hundred yards at a T Junction turn left into Evendine Lane, the property is on the left marked with a Glasshouse 'For sale' board.